The Sport-Tek Colorblock Soft Shell Jacket Style ST970 is available in Adult Sizes: XS-4XL and can be purchased in your choice of the following colors: Black/Iron Grey, Black/True Red, Forest Green/Black, Maroon/Black, True Navy/Iron Grey and True Royal/Black. The Sport-Tek Colorblock Soft Shell Jacket Style ST970 is available in Adult Sizes: XS-4XL and comes the following colors: Black/Iron Grey, Black/True Red, Forest Green/Black, Maroon/Black, True Navy/Iron Grey and True Royal/Black. Black/Iron Grey, Black/True Red, Forest Green/Black, Maroon/Black, True Navy/Iron Grey, True Royal/Black. 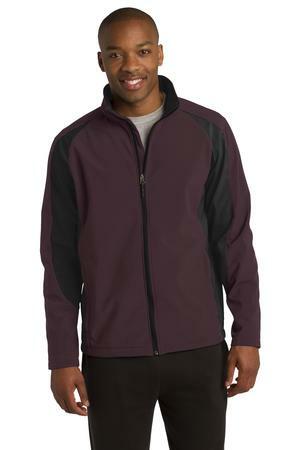 Be the first to review “Sport-Tek Colorblock Soft Shell Jacket Style ST970” Click here to cancel reply.